Phaostron sealed, ruggedized direct reading meter. 0 - 150 vac. 3-1/2" diameter face. Fits 3-11/16" hole. 1-3/4" behind panel. 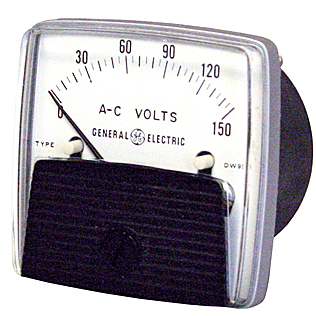 Roller Smith AC volt meter. 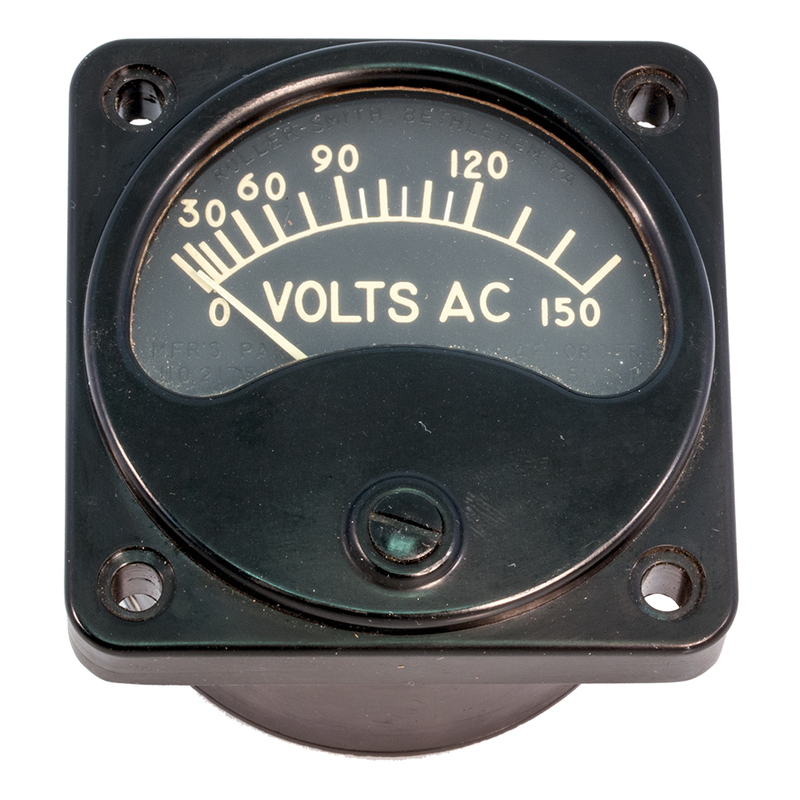 0 - 150 vac, 1960's vintage panel meter. Bakelite case. 1.875" mounting centers. 2.38" x 2.38", 1.66" behind panel depth including terminals. Spectacular!! 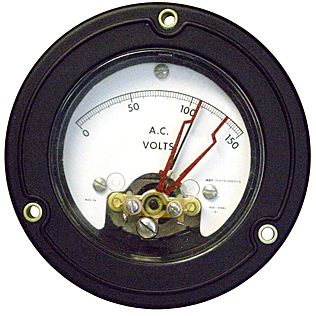 General Electric direct reading meter. 0 - 150 vac. 60 Hz. 1-3/4" square face. Fits 1-1/2" hole. 1-1/4" behind panel. 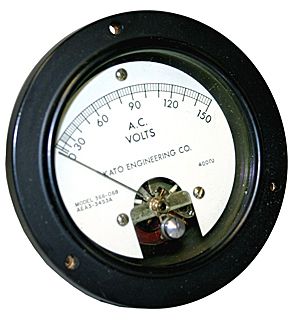 Kato Engineering Co. sealed direct reading meter. 0 - 150 vac, 400Hz. 3-1/2" diameter face. Fits 2-3/4" hole. 2-1/4" behind panel. 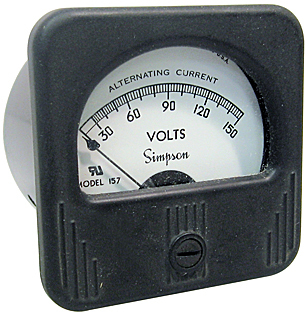 Simpson volt meter. 0 - 150 vac. Direct reading. 2-3/8" square, 2-1/4" behind depth. 2-1/4" hole required. API with dual set points factory set @ high (132 vac) and low (108 vac). Direct reading. During normal operation, needle floats between red limit markers. If voltage dips or surges, contacts make to trip alarm. Requires 10-25ma flowing through relay contacts to activate "locking coil". See instructions PDF for details. 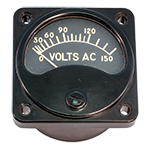 A suitable relay to be controlled by the contacts is our part number (KO) MB1199. 3-1/2" face, fits 2-5/8" hole. 2-1/4" deep.